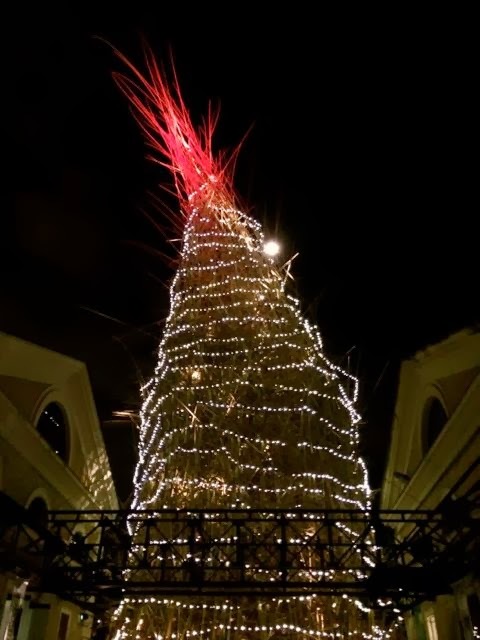 We have been using this time in between Christmas and Befana to see some of the many exhibits that are on in Rome right now. 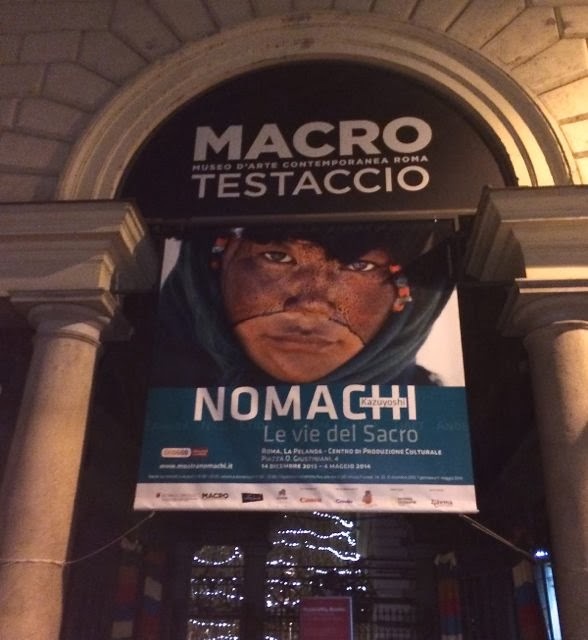 The MACRO complex in Testaccio has all kinds of things to keep you busy in January. 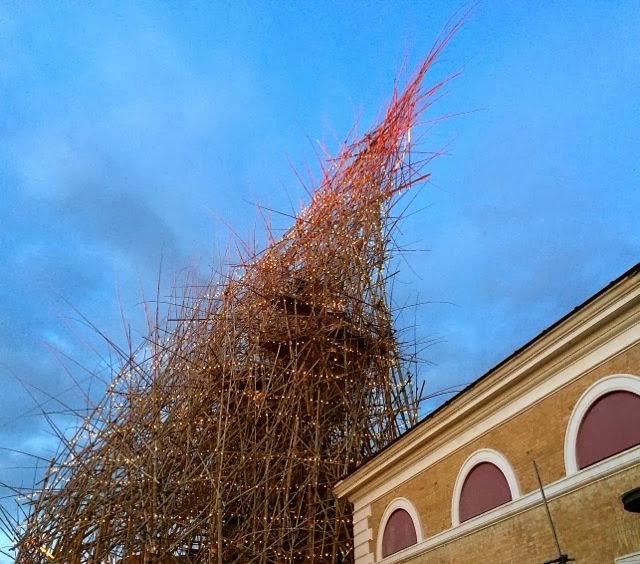 The Big Bambu installation is still all dressed up for the holidays and for a few more weekend evenings there will be live music performed on a stage set up with the Big Bambu as the dramatic backdrop. Nomachi: Le Vie del Sacro by Japanese photographer Kazuyoshi Nomachi is set up in the Pelanda exhibit space. If you are a fan of Steve McCurry you will love this show. Saturated large scale images from South Sudan, Niger, Tibet and Peru of nomadic populations and religious ceremonies offer timeless insight into devotion and daily life. The shots of the Haj in Mecca are mesmerizing and full of movement. The desert shots with veiled Tuarags in Abalak, Niger taken 40 years ago could have been taken last week. Nomachi: Le Vie del Sacro at the MACRO La Pelanda Details here. Through May 4, 2014. Natale @ Big Bambu details here. Events though January 6. The big bambu is beautiful but what's the meaning behind it? I wish I had more time in Rome to check it out, plus I'm dying to eat anywhere in Testaccio! Next Time!! @Tiana The Big Bambu is an installation created by American artists Mike & Doug Starn. You can climb inside the structure via labyrinth of stairs. You need a week just for Testaccio eating alone!